Whether or not music is playing in your head right now because of the title of this post is of much less concern than the news Syracuse basketball fans are waiting for that might (or might not) bring music to their ears. 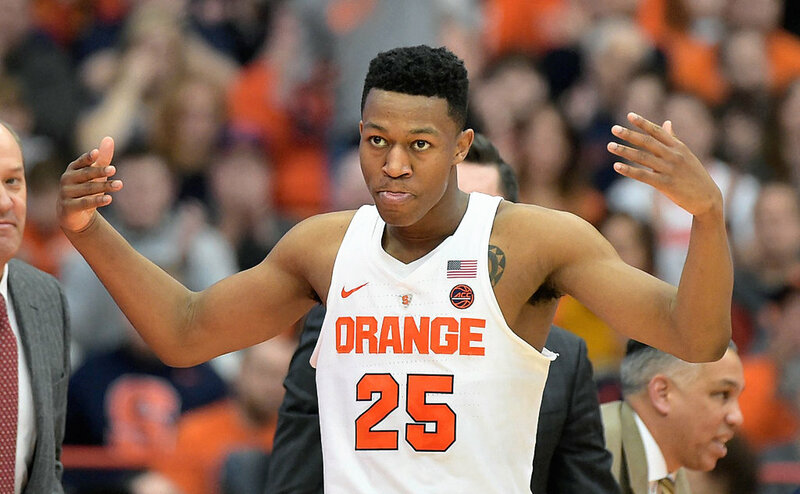 Tyus Battle has until tomorrow to decide if he will officially declare for the NBA Draft or return to Syracuse for another year of college basketball. As we await the big decision, now is a great time to take a look (or a listen, rather) back at the contradicting opinions of the Fizz’s own David Edelstein and Jonathon Hoppe on Fizz Radio one month ago. The discussion gave a lot of insight into both the arguments for Battle leaving and for Battle returning to the Orange (from start to 9:24). Battle can only make one decision. It will be interesting to hear his reasons behind the decision he makes after he makes it. As the seconds tick down, what do you think? Will Battle Stay or Will He Go? Continue to follow news about Battle’s decision on OrangeFizz.net as well as on Twitter and Facebook @OrangeFizz.